Some of the divisions have been changed! Also we will be sorting in the EVENING and penning during the DAY! James will be giving penning lessons Tuesday, 6/18, at 7 PM and ranch sorting lessons Thursday, 6/20, at 7 PM. There will be Friday night sorting this week as well. If you’re interested in lessons please text me at 9514734146. IF YOU ARE ENTERED IN THE SEVENS DIVISION FOR THIS WEEKEND PLEASE NOTE THAT IT WILL BE STARTING AT 9:00 due to a low turnout for the 9s. Also, the #3 sorting class will begin at 10 AM in the second pen. We will have enough cattle so we are reinstating the enter 5 times and receive a FREE DRAW! 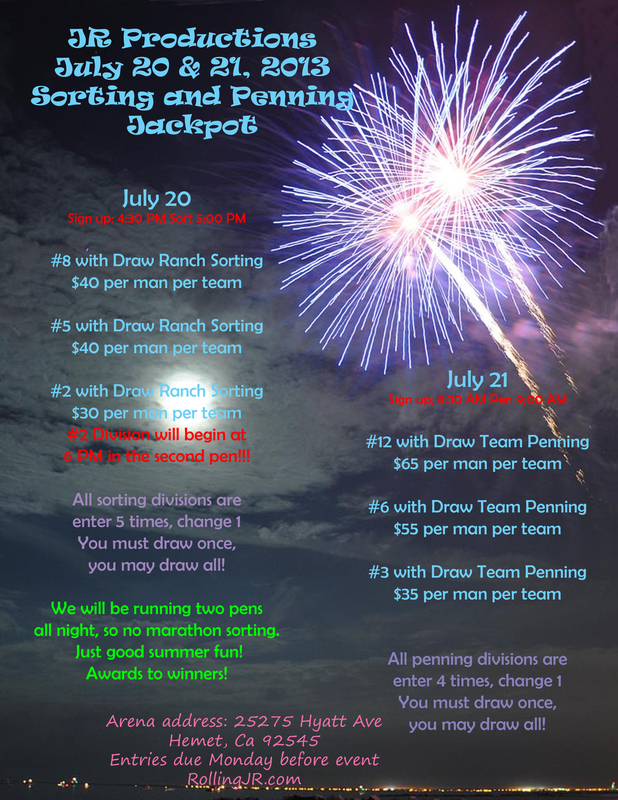 Penning and sorting this weekend!